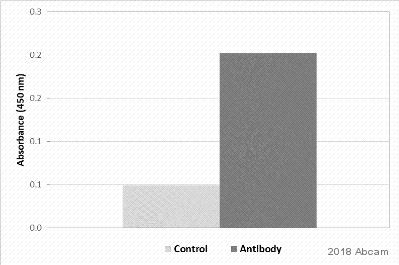 The antibody was used againts 0.5 ug of protein coated on ELISA plate. Tested protein always obtained His-tag antibody was not tested against protein without His-tag. We would like to thank the reviewer for submitting this AbReview. As the product has not yet been tested in this application, we were unsure what the result might be and we appreciate the time and effort that the reviewer has put in to testing this product in this application. We encourage all our customers to contact us should they wish to test any of our products in untested species or applications, as these may qualify for our AbTrial testing program.